And dreams can happen! 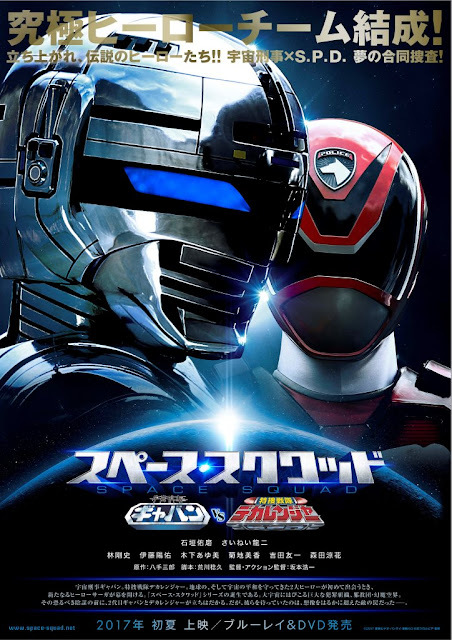 After their recent reunion, the Special Police Dekarangers will find themselves teaming-up with the Galactic Union's finest, Space Sheriff Gavan Type G in next summer's V-Cinema Super Hero Year Presentation: Uchuu Keiji Gavan VS Tokusou Sentai Dekaranger! 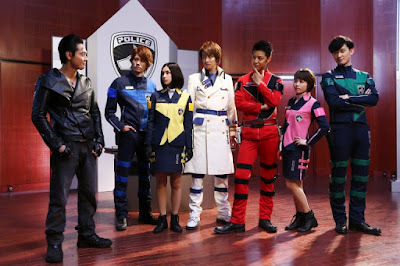 The Dekaranger's original ranger cast will will reprise their roles with Yuma Ishigaki returning as Geki Jumonji/Gavan Type G. In this movie, Gavan and the Dekarangers must work together to fight a greater threat. Besides the team-up movie, a prologue movie will also be released entitled Girls In Trouble featuring the a team-up between the SPD girls and the female space sheriff's Shelly (Suzuka Morita), Shishi (Misaki Momose) and Tammy (Mayu Kawamoto). Written by Naruhisa Arakawa and directed by Koichi Sakamoto, Uchuu Keiji Gavan VS Tokusou Sentai Dekaranger will be released next summer of 2017 on DVD and Blu-ray. i thought 2016 was the super hero year? it's 2017? Hopefully, we'll see Dekamaster here. I forgot where, but I read Kruger and Gavan were friends. Can they just BRING BACK METAL HEROES ALREADY?!! The rumors are true! 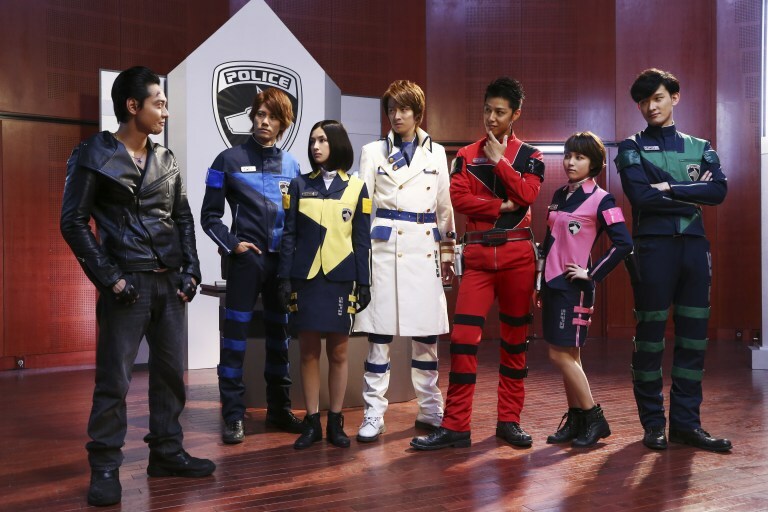 Gavan and the Dekarangers are having a CROSSOVER! Thank You Toei for this great opportunity of seeing them TOGETHER! Given that they were space police, the time to do this would have been during Dekaranger's original run, and with original Gavan Kenji Ohba were he willing and available. I will echo the sentiment of the 6:41 AM anonymous commenter. Give the Metal Heroes franchise another real shot instead of a one-off movie and appearances in Sentai (Gokaiger vs. Gavan, a two part Go-Busters team-up with Gavan Type G) and the movie Super Hero Taisen Z. So.... is there still going to be a "Boukenger 10 Years After"? Man, when can we have Magiranger 10 Years After?